In 1587 over 115 colonists disappeared without a trace from Roanoke Island, North Carolina. When twelve-year-old, Jack Dahlgren, moves to Roanoke Island with his family, he is thrust in the middle of the the evil legends and forces that caused the disappearance of the colonists. After his little sister is severely injured in a terrible accident and taken to the mainland, Jack ends up alone in the middle of a hurricane. Battling his guilt about the accident and his desire to be grown up, he discovers a real life monster intent on killing him. With the help of a ghost dog, a huge mastiff, and a Native American shaman named Manny, Jack must figure out the meaning behind the clues he's given, battle the evil forces and save his family. Jack's bravery in the face of nail-biting danger had me so engrossed in the story I could hardly put it down. C.K. Volnek does an excellent job weaving the history and legends of the "Lost Colonists" in a spell binding story. I was so fascinated by the book I had to do my own research on the "Lost Colonists" and found Ms. Volnek's novel to be well researched and a scary twist on the legends. Great character development lends The Ghost Dog of Roanoke Island into a strong debut novel. Highly recommended for boys and girls who love ghost and other scary stories.Ages 8-12 but will appeal to older middle school children as well. Available as paperback and Kindle editions. Click on the retailer links to purchase this book. 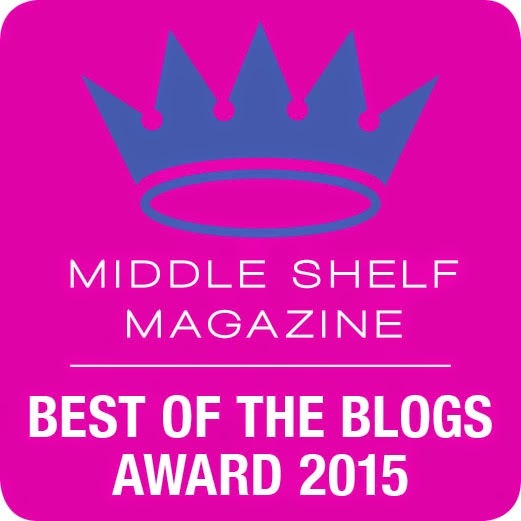 Thanks for hosting me on your blog Trudy! 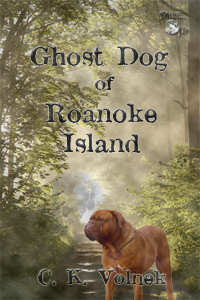 I'm so glad you enjoyed Ghost Dog of Roanoke Island and thanks for the great review!